The Old Mate on Crown is less a cafe than it is an example of a perfect co-worker. I don’t know how they are at paperwork, but they’re in the break room every single day of the week, working wonders with that sandwich press and feeding the entire office with a smile on their face as they list the fresh produce between the perfectly buttered slices of Bread and Butter Project sourdough. They lugged their juice maker to work and give you a free shot of vege juice with your coffee, which they proudly boast is from Toby’s Estate, a definite step up from the Nescafe, the only thing in the company freezer. Old Mate even drove out to Hurstville this morning and picked up some delicious cinnamon scrolls from Oregano Bakery. Sure, they dominate the stereo with old Oasis albums you wish you never knew existed, but Old Mate’s unpretentious dedication to being a team player keeps everybody happy and they truly deserve those multiple “employee of the month” placards above their desk. 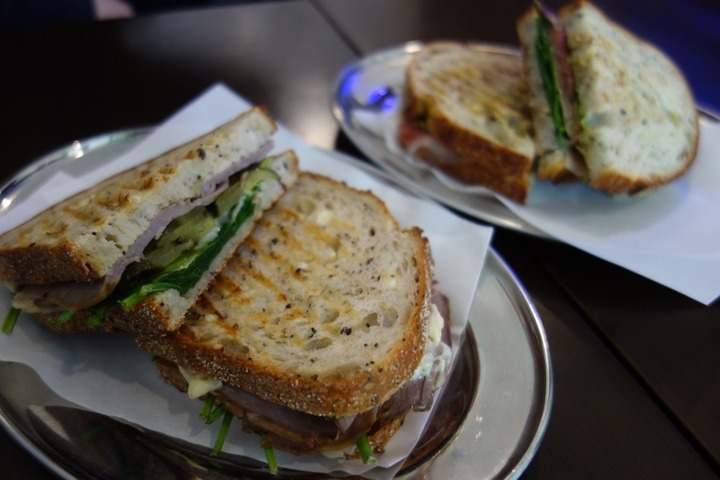 The next time you wish you had a co-worker whose toasted sambos taste as cute as the chalk writing describing them on the menu, you know where to go.